Robin Allotta is a licensed Real Estate Broker with over 16 years of real estate experience. Born and raised on the Northwest Side of Chicago she bought her first piece of investment property in her teens and has been successful in buying, selling and investing in real estate for her clients and her own portfolio ever since. Robin worked as a leasing agent for several years before joining Sussex and Reilly in 2002. 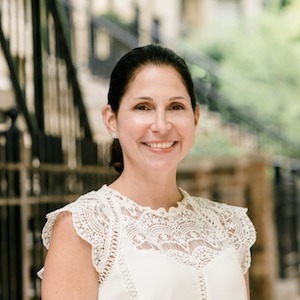 To best position her clients and their negotiating needs, Robin furthered her education in Real Estate by becoming a Real Estate Broker, an ABR (Accredited Buyer Representative) and a Relocation Specialist. Keeping her finger on the pulse of the market she went back for further training and became a Foreclosure/Short Sale Specialist and is currently a EPro (Online Real Estate Specialist) and CIPS (Certified International Real Estate Specialist Candidate). Robin earned a Bachelor’s degree in Communications from Columbia College Chicago - where she majored in Marketing and minored in Generational Marketing for the Future. These credentials combined with her down to earth neighborhood girl approach have afforded Robin huge success in her real estate career. From working with first time home buyers to investors and developers Robin is committed to selling all types of real estate: new developments, single-family homes, condominiums, duplexes and land. In addition Robin works directly with Corporate owned properties and Banks to help move product in the marketplace. In 2002 she was awarded “Metro Chicago Magazine’s” “Rookie of the Year” award and earned Top Producer awards from the Chicago Association of Realtors in every year since 2003. Robin’s numbers speak for themselves with over 65 million dollars in closed transactions she has helped more than 200 families move in the Chicagoland area. Working with Robin has always been a great experience! I have purchased 3 properties with her - each one to support a new "life stage". She has a great eye for detail; and she really made the effort to understand my changing needs, priorities, and preferences. She had great knowledge of the areas I was looking in and an ability to think "outside the box" to help me reach my end goals. She's honest, aggressive (when appropriate), and resourceful. Robin is simply the best. She helped me sell my condo last year and was incredible to work with. Robin took charge from day one and did a great job not only managing the process but my expectations along the way. I have already recommended Robin to all my friends - you are in good hands with her! Robin was fabulous to work with. She is a true professional with a personal touch. Her promptness in returning calls, in following thru with what she said she would do, in her knowledge of the marketplace, in managing expectations all added up to making the sale of my home perfect. It was a pleasure to work with her and I would recommend her with the highest consideration possible. I have worked with Robin since 2008. She has helped me rent out my Chicago condo while I lived abroad for several years. Her professionalism, responsiveness, and trustworthiness had made this process smooth and painless (which is not the easiest to do with an 8 hour+ time difference)! Robin and her staff also helped me sell my condo this year. I was appreciative of the dedication and hard work that went into selling my place in a challenging sellers market. I would recommended Robin and her team without hesitation. I really can't say enough good things about Robin! As a first time home buyer I had so many questions; Robin was incredibly patient and responded professionally to every one of my concerns throughout the process. We bought a foreclosure, so there were quite a few hoops to jump through in order to make the deal happen. Robin was there every step of the way, and thanks to her we are now living in our dream house! I have worked with Robin for many years. Robin helped me purchase my first condo in '06. She was excellent in helping me find a location in exact location that I desired and negotiated with the seller to get the property at the price point I needed. Several years later she helped me to rent that same property when I moved abroad and then eventually sell that property. In fact, she was able to secure me a buyer after less than 7 days of having listed my property. I was out of the country when the condo closed but Robin put me at ease and was able to walk me through the process of 'power of attorney" and we closed without a hitch! In 2012, when my family relocated back to Chicago, Robin was able to help us purchase a home in the Edison Park area. She put us in contact with a great mortgage consulted, Mark Rutkowski, who was able to pre-qualify us for a mortgage. Knowing we wanted to live in that area and our budget, Robin put together a list of homes on the market in the area. Robin was so flexible and patient as we looked at several houses more than one time. After only a few weeks of looking we found our home and Robin was amazing at helping us place the perfect offer. Again, Robin was there every step of the way during the process. We can't thank or recommend her enough!